With the Bank Holiday weekend behind us it's time for another challenge over at Everybody Art Challenge. This week we have a sketch for you to follow. Be sure to check out the other DT members to see their beautiful projects. 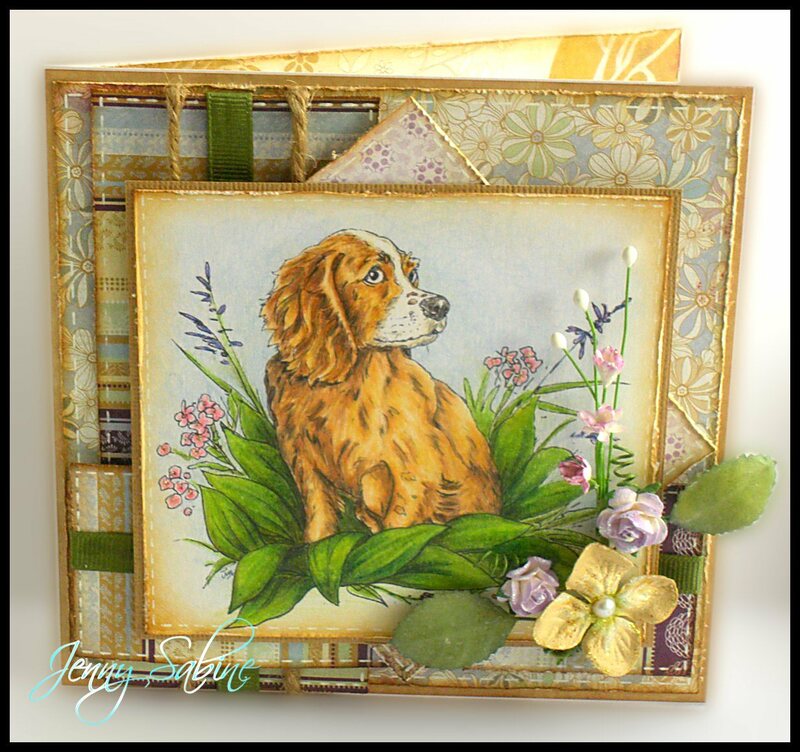 I have used an excellent digi stamp from La Pasche called Cocker Spaniel Pup. I have used Basic Grey Wisteria papers, distressed with ink and scissors and finished with faux stitching. The image is by La Pasche and is coloured with Prisma Pencils. I have finished everything off with ribbon, string and flowers. Love your gorgeous Jenny and what a wonderful image. TERRIFIC card! Love your colouring. Absolutely beautiful. Thanks for playing along at C4E this week. He looks real,your colour is perfect!! This is a sweet image! I hope you will join us on the ABC DT CHallenge FLOWERS. You have a chance to win a gift certificate! Use CTHS-01 for a 10% discount too!